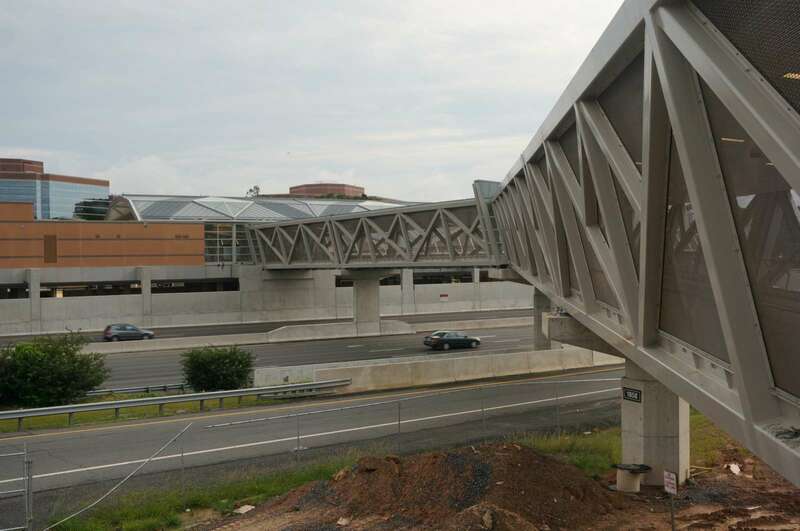 Fairfax County officials are pushing back against a move by the Washington Metropolitan Area Transit Authority to charge for weekend parking at the Wiehle-Reston East Metro Station. Beginning Feb. 5, WMATA plans to charge a $2 fee parking for Metro users who park in the Metro garage or lot on Saturdays. Parking is currently free at the 2,300-space garage, which is owned by Fairfax County. “Over the past several years, WMATA’s image has been significantly tarnished. Charging for parking on Saturdays, especially when there are so many reasons not to charge, will not improve WMATA’s image,” county staff wrote in a statement. The county’s Board of Supervisors, which must approve approve parking changes before they are instituted, will consider the matter at a Jan. 23 meeting. The county currently contracts with WMATA to remotely monitor parking garage gates and fare collections while WMATA maintains equipment and processes SmarTrip and credit card payments. County staff charging fees could decrease weekend ridership — especially when demand for parking is already low on weekends. “WMATA may actually lose more many from lost rail fares than it gains from the new parking fee,” according to a statement. Requires additional costs to maintain equipment and oversee personnel. Discourages new riders, who often try Metro on weekend, from using the service. Is inconsistent with the region’s goal of providing alternatives to single-occupant vehicles. Discourages Metrorail trips, ultimately increasing weekend congestion and air pollution. Makes an already challenging commute for weekend riders — who often deal with delays due to maintenance work on weekends — even harder. WMATA is also planning to extend the hours of parking fee collections on weekdays — a move the county officials support. Charges for parking will begin at 7:30 a.m. instead of 9:30 a.m. On Fridays, fees will continue through 2 a.m. instead of 1 a.m.
Additional fees collected through the change will generate additional revenue that will help pay off debt service payments on bolds sold to fund additional Metrorail parking. The garage was built by Comstock Partners’ through a public-private partnership with the county. Comstock’s Reston Station development, a major mixed-use project, sits above the garage.